Ecological interactions are crucial to understand both the ecology and evolution of most organisms. Ecological interactions may be generalist or specialist. Unfortunately, most theoretical and empirical approaches have focused in understanding the phenotypic evolution and taxonomic diversification mediated by specialist interactions. In contrast, ecological generalization has been considered a non-adaptive process that is maintained by spatio-temporal fluctuation in the abundance of the interacting organisms or by the occurrence of conflicting interaction-mediated selection. However most interaction in the wild are generalist. We thereby need to understand how organism may evolve and diversify within generalist universes. In this context, the main goal of this project is to investigate how species evolve and lineages diversify as a consequence of generalist ecological interactions. 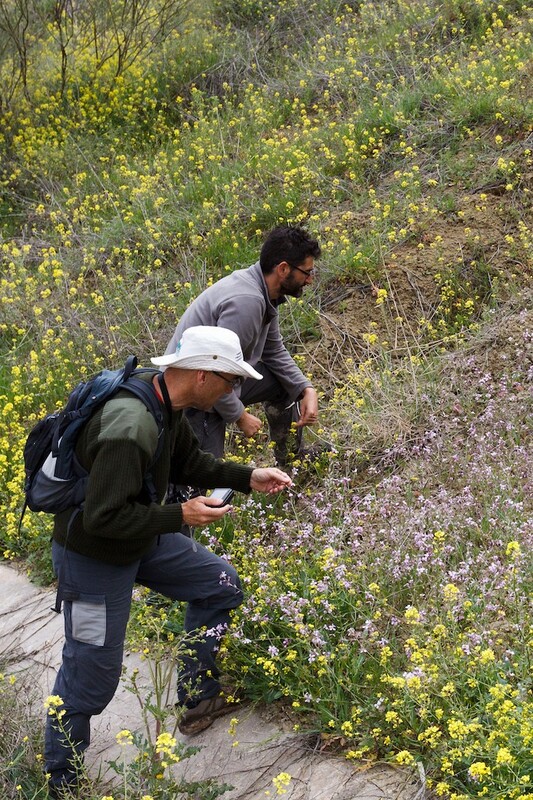 For getting this aim, we will focus in one mage-generalist interaction, the pollination interaction between Brassicaceae species and their floral visitors, focusing on Iberian species. There are two objectives in this project. First, we intend to explore the evolution of the interaction between the plants and their mutualist in a generalist context, in order to determine how phenotypic evolution is mediated by generalist interactions. Second, we will propose a new methodological approach to study the evolution of any kind of generalist interaction, irrespective of their sign or the identity of the interacting organisms. We will carried out several task to fullfil this objective. First, we will make a mega-phylogeny including as many as possible worldwide crucifers and using the information stored in free-access websites. This mega-phylogeny will allow getting an accurate information about the ancestry relationships between Iberian crucifers. Next, we will do a phylogenetic-informed survey of the floral visitors of those plant species appearing in our phylogeny. We will further use this natural history information to determine the interactive niche of each plant species, as an estimate of their generalist pollination syndrome. For this, we will use complex clade-oriented network tools. Finding the modularity of the network built with the crucifer species and their floral visitors, and assigning each plant species to a give module, we allow us to find their interactive niche. Afterwards, we will quantify the floral phenotype of this plant species to, finally, track the evolution of this traits along the Brassicaceae mega-phylogeny as a consequence of changes in the generalist pollination syndrome of the plants.